As the sod and grass authority, located in Mt. Pleasant and North Charleston, South Carolina, Sodbusters know that centipede grass is one of the ideal grasses for South Carolina lawns. Centipede grass is famous for its heat tolerance and notably low maintenance requirements. 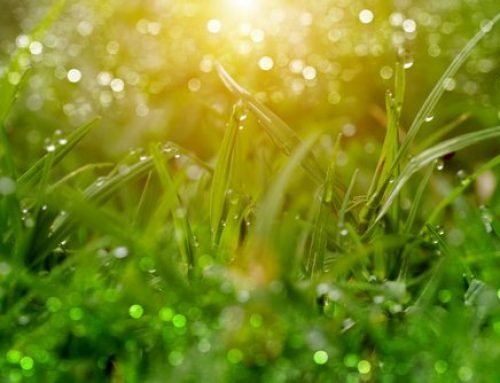 It is a favorite of South Carolina homeowners interested in minimal upkeep and centipede grass delivers as it requires far less care than most other grasses found in South Carolina. However, with a beautiful lawn comes the possibility of weeds and disease. In this article, we will discuss the ways in which you can rid weeds from your centipede grass lawn, herbicides, dollar spot and brown patch diseases and the ways in which to control them. How Can I Rid My Centipede Grass Lawn of Weeds in South Carolina? The first line of defense against weeds is to follow good growing practices that promote vigorous growth and development of the centipede grass. 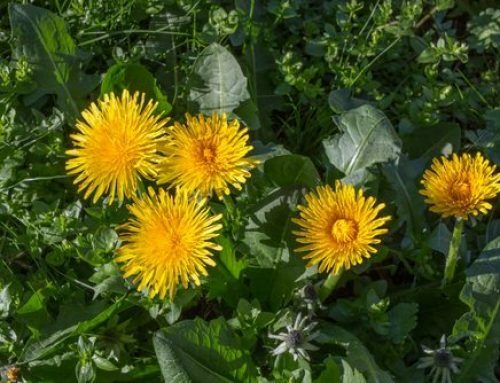 Weeds do not easily invade lawns that are properly fertilized, watered and mowed at the correct height and frequency. Weeds will usually appear in bare or thin areas of the lawn, thus, proper maintenance is essential. Thatch. Another reason for centipede grass’s popularity is its resistant to most disease and insects. However, a build-up of thatch could negate its resistance. Early spring raking and using a bag catcher when mowing can help prevent thatch build up. As you rake the thatch and bag it for disposal, your centipede grass has the full summer season to recover. Watering. Centipede grass has shallow roots and it tends to turn brown sooner than other types of grass during drought and heat. Water centipede grass when you see wilting or when the grass turns grayish-green. Apply about an inch of water, or enough to wet the soil to a depth of 6 to 8 inches and make sure to not over water centipede grass. Excess irrigation will produce a weak root system that is unable to cope with any amount of water stress. Centipede grass does best on around an inch of water per week in most soils but may require slightly more in sandy soils. As with other grasses irrigating at night is not a bad idea for centipede grass because it wastes less water. Fertilizing. Centipede grass does not respond well to high doses of fertilizer. Too much nitrogen will cause a flush of growth susceptible to disease, and phosphorus will deplete iron levels. Use a phosphorus-free fertilizer such as 15-0-15, with only about 2 pounds of nitrogen per 1000 square feet. The ideal time to apply fertilizer or weed and feed products to centipede grass is a few weeks after green up, but before temperatures start topping 85°. Consider fertilizing around mid-May, but let your lawn be your guide. Can I Use Herbicides on My Centipede Grass Lawn in South Carolina? damage or kill centipede grass. Carefully read the entire label of all herbicides before using them on a centipedegrass lawn. How Can Dollar Spot and Brown Patch Diseases Affect My South Carolina Centipede Grass Lawn? Dollar Spot Disease. Dollar Spot disease is not picky and will kill centipede grass if given the opportunity to flourish. As the name implies, dollar spot disease develops as small, distinct circles from 1 to 6 inches in diameter, roughly the size of a silver dollar. Because these spots do not look very serious, individually, it is easy to underestimate the damage potential. Dollar spot disease kills centipede grass down to the roots and scarring of your lawn can occur. A light application of nitrogen (½ pound nitrogen per 1000 square feet) should encourage the grass to outgrow these symptoms. Since dollar spot disease favors turf with low soil moisture, it is important to water regularly. Low nitrogen fertility pushes disease growth and should be corrected with the correct combinations of fertilizers during periods of disease activity. Dollar spot disease causes an hour-glass shaped band to form across the width of the grass blade. This band is a light tan and has a reddish-brown edge on the top and bottom. Being a very thorough disease, dollar spot kills the entire grass plant. After a visit from dollar spot disease, lawn renovation or reseeding will almost always be required once the disease is brought under control. Brown Patch Disease. 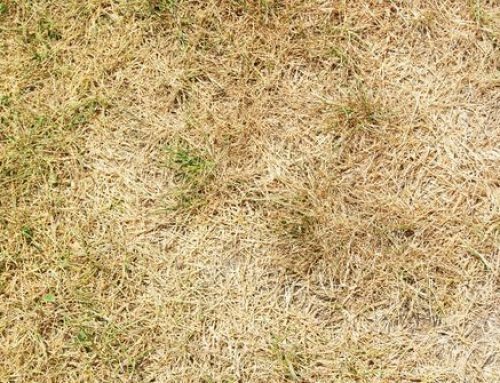 Brown patch lawn disease is one of the most destructive of all turf lawn diseases. It sneaks up on your lawn and destroys large areas of turf virtually overnight when the weather conditions are just right. Much like dollar spot disease, brown patch lawn disease isn’t picky; it attacks a wide variety of grass types. Brown patch is a summer lawn disease that is caused by a fungus called Rhizoctonia. The disease begins to show growth when temperatures reach 65°, but the most active growth of brown patch lawn disease occurs at temperatures of 80-85° when humidity levels are very high. The fungi survive the winter in thatch and enter the leaf tissue through wounds caused by mowing and through the pores when daytime temperatures reach the 70s. Infected centipede grass can go quite a while without showing damage because it is actively growing. However, if the daytime temperatures reach the mid-80s and nighttime air temperatures stay above 70°, the centipede grass will be under stress. Once stressed, brown patch lawn disease damage can become visible almost immediately. Once started, brown patch lawn disease spreads fast. Brown patch damage first appears as circular areas of brown and dead grass surrounded by a narrow, dark ring. This dark ring is not always visible but is more likely to appear in the early morning when there is dew on the grass. 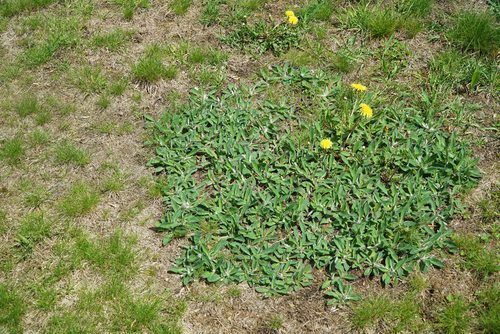 Brown patch lawn disease grows from a central point, so these circular areas can enlarge rapidly. Brown patch circles range from a few inches in diameter to several feet and are not always true circles. Sometimes the patches grow together, creating large irregular dead areas. Diseased centipede grass first appears water soaked with leaf edges showing a wavy or wilted pattern, but soon dies completely and mats down, creating a sunken effect. Mow less frequently during periods of hot and humid weather, this reduces stress and limits the movement of grass disease by being carried on your feet or mower. If possible, increase light and air penetration, or movement, by pruning overhanging trees and shrubs. During cooler seasons, open up the thatch layer with power core aeration. If these cultural cures fail, a preventative fungicide lawn treatment program may have to be applied to control this most damaging of lawn diseases. Centipede grass is ideal for the homeowner who wants an attractive lawn that needs little care. Centipede grass does not require much fertilizer or mowing, and, compared to other lawn grasses, is generally resistant to most insects and diseases. As such, centipede grass is very popular in South Carolina. To learn more about centipedegrass or any of our other warm-season turfgrasses, contact the experts at Sodbusters.